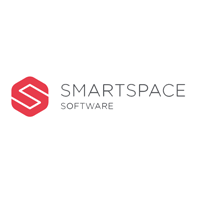 Smartspace Software PLC (LON:SMRT) Chief Executive Officer Frank Beechinor caught up with DirectorsTalk for an exclusive interview to discuss their latest trading update. Q1: You’ve just announced a trading update, can you just summarise for us the key highlights that were in the statement? A1: I think the main message we gave the market was that our revenues and EBITDA are in line with the market expectations, we will be publishing the full accounts towards the end of April. We didn’t want to give too much detail in this update, just to let people know that everything is on track I think is the main message. We elaborated a little bit on the SwipedOn business, and we mentioned the fact that we’ve actually grown the customer base there by 22% since we took the business over back in mid-October. So, we’re making very good progress there which is obviously an important for our ability to build SaaS revenue quickly. So, generally, things are progressing and on track I think is the main message. Q2: With your current share price at around 88p, N+1 just initiated coverage on SmartSpace Systems with a near term intrinsic value of about 119p – 152p. What views do you have on your current valuation? A2: As most public company CEOS’s say, we think we’re undervalued, and we’re not valued fully by the market and I think it’s particularly true in our case. We’ve made good progress behind the scenes, we’ve announced a few contract wins in the autumn and the SwipedOn deal and I don’t think the current share price reflects the intrinsic value of the business by a long shot. There’s a couple of interesting comparators, there’s a business in the states called Envoy, they did a fundraise back in November and they came to have 10,000 customers and they’ve got about 3.5 times more customer than we have but that business was actually valued at $200 million. If you take one of the bi competitors in the UK, Condeco, they’re privately held but a significant PE investor and they did a fundraise in the autumn as well and they valued their business at £140 million. When you consider that they do have turnover of £29 million, so much bigger than us, but equally there’s lots that are pushing on for £4 million. So, when you look at those comparators, you think we really are undervalued so we’ve got to take into account the general sentiment in the market, everything in the lead up to Brexit. There is a malaise in the market that’s nothing to do with us and what we’re up to because speaking to other CEO’s and brokers you realise it’s a common trend. Bottom line really is I think we are undervalued, we’ve got a long way to go and we’ve literally only set out on this journey 6 months really. So, it is early days and for us, it’s very much about playing the long game and making sure we deliver value to shareholders in the long run. Q3: Final results for the company should be announced at the end of April, what should we expect from these results? A3: Obviously, just a bit more detail on what we’ve just said there. The market expectations are set by Cantor who were our brokers up until December and they were looking at sales of £6.3 million and an EBITDA I think of £2.3 million, something like that, and that’s what we’ve said we’re tracking against in the statement, so we’ll obviously flesh that out. The current expectations then are based around N+1, our new broker and NOMAD who started with us in December, and they just issued initiation guidance on us in the last week and they’ve actually upgraded their numbers from what Cantor put up previously for this current year. So, I think in the update, we’ll just be giving a lot more detail around what we’ve been up to. Q4: Overall, just how excited are you over the longer term prospects for Smartspace Systems? A4: Hugely so. I’ve been involved with this business for a while as Chairman and then as CEO in July, I went into that having the basis that I knew it was going to be a hard slog for 2 or 3 years, it’s very easy to galvanise yourself for a hard slog when you’re generally enthusiastic about the market, the company, the products, the people we’ve got. I’d love to say it’s an amazing brilliant strategy that was perfectly well executed, I think in our case it’s just circumstance of timing. We happen to have an interesting set of technology with an interesting position in the marketplace at the very time that the whole marketplace is coming to light and understanding fundamentally that corporate real estate, there is flexibility. In the old days, you took your rent and you said this is a fixed cost, we can’t vary it, whereas we’re giving people the tools to say well, instead of having 1 employee, 1 desk, if we can help you to get to 1.2 employees per desk it then means you don’t take one more floor in you building or it means you can rent off some of your space. You can bring flexibility where none previously existed. So, I’m hugely excited. I’m just back from a trip to the US and there’s fantastic opportunity for us out there, we’ve got customers on the ground there already and I think that market is fantastic. With the SwipedOn business, we sell in 39 different countries and we’ve got some very interesting traction in Europe, visitor management is just part of our portfolio, that has implications under GDPR because a lot of people look at their visitor book and don’t realise that’s another type of data storing on people that actually you should be keeping securely and should be seeking consent. The solution there of course is to go electronic. I suppose my challenge, and something I’ve got to be mindful going forward, is everywhere I look I see opportunity and at a time where we’ve got to have focus so we’re not short of opportunity is the bottom line. We’ve got a very strong pipeline and it’s now down to us to get on and convert it and we’ve just hit the market at the right time so hugely excited I think would be an understated way of how I’m feeling about the business. Click SMRT for the full archive.